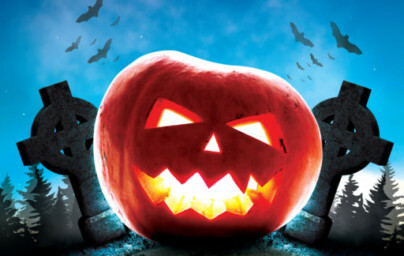 This 25 October the Halifax Spooktacular will be held at a BRAND NEW VENUE! An evening of family fun awaits, with spooky walks, entertainment in a new for 2018 arena and one of the biggest firework displays in Calderdale! Don’t miss out on this fang-tastic charity event now at Manor Heath. The layout of Manor Heath allows many different viewing spots for you watch the fireworks from. We recommend that you get in position around 7:20pm, which is 10 minutes prior to the start of the fireworks display. The gates for the event open at 5:00pm. Arrive early if you can as there’s plenty to see and do before the fireworks start – including the Fancy Dress Competitions, entertainment in the arena, charity stalls, fairground rides and the spooky tunnel. You can even grab something to eat or drink from one of the many food vendors throughout the park. All profits raised by the Halifax Spooktacular will be distributed by Halifax Calder Rotary to charities both in the local area and further afield, including Overgate Hospice. If you know of a charity in the Calderdale area that is currently looking for support or funding, please tell us by using the contact form on the Halifax Spooktacular website. Children (and adults) of all ages are encouraged to put on your best Halloween Fancy Dress outfits for this year’s Halifax Spooktacular. Check out your event programme for times of the prize giving for each category which will take place in the Arena. Please join in the fun and help TAP Entertainment know who you support for each category by cheering for them as loud as you can! ← Enrol in Ghoul School this Halloween!